Sen. Elizabeth Warren will make the launch of her 2020 presidential campaign official on Feb. 9, 2019, during a rally in Lawrence, Massachusetts. Lawrence was chosen for the vent because it was the site of Everett Mill, which was the backdrop of a 1912 labor strike led by women, many being immigrants, who were threatened with a pay decrease. These individuals fronted the strike that ended with the workers obtaining a pay increase. Warren has gained the endorsement from Rep. Joseph P. Kennedy III. 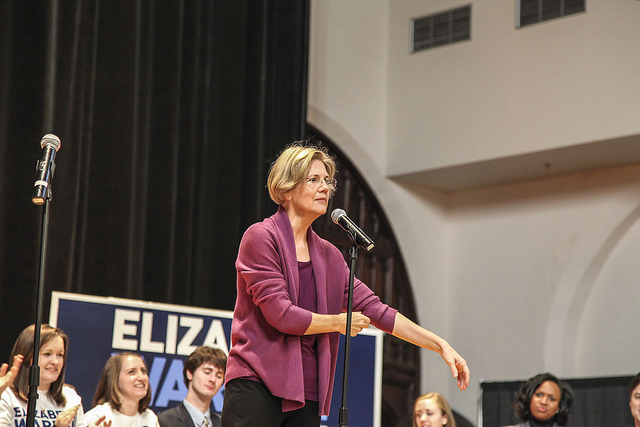 Kennedy who is scheduled to speak at the rally, and it is reported he will discuss how Warren’s record regarding economic issues sets her apart from the other Democratic’s running for the nomination. It was a surprise to many that Kennedy decided to endorse Warren and not his good friend former Rep. Beto O’Rourke, who is considering running himself. Other high profile Massachusetts politicians scheduled to speak and endorse Warren include Boston City Councilor Michelle Wu, Lawrence Mayor Dan Rivera, Rep. Lori Trahan, and Sen. Ed Markey. It is expected that the senator’s family including her two children, grandchildren, and husband, Bruce, will be in attendance. Warren has been critical of Trump’s immigration policy, particularly after the separation of migrant children from their families at the southern border. Warren introduced two weeks ago a wealth tax on Americans who have assets of $50 million or more. Despite her political platform, Warren will continue to face questions about her claim to be Native American. Warren apologized to the Cherokee Nation. Democratic voters at the early campaign events Warren has attended has said consistently that the issue was not a factor, but it has not stopped being discussed.